There isn’t a business that can thrive or survive in today’s world without investing some amount of time and money into marketing. If you don’t believe that to be true, ask yourself why a company like McDonalds takes the time to advertise on TV, deliver flyers, and blast ads across the internet. They make billions every year, but they still have competition out there, which means they need to keep letting their customers know what is going on in their business. If a company that large still takes the time to market, then you need to do it as well. Unlike McDonalds, most businesses don’t have the budget available to blanket the media with marketing, which means they need to be choosy about which methods they employ. Easily one of the most effective, as well as the most affordable, is e-mail marketing. Talk to any online marketer and they will tell you about the importance of building your list. Consumers nowadays want to be informed and kept in the loop about what is going on with their favorite brands, and e-mail represents one of the easiest ways to do that. If you do not currently have an opt-in box on your website where visitors can sign up for FREE e-mail information about your business, you are missing out and likely falling behind your competitors. 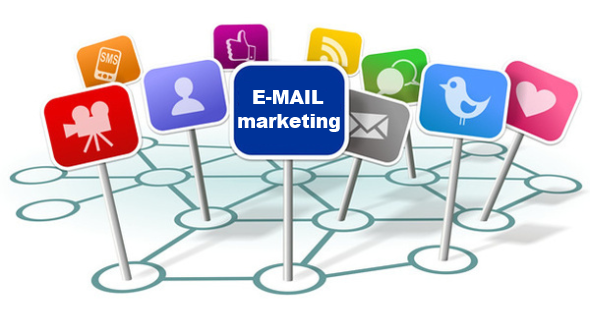 E-mail allows you to quickly and effectively deliver information to your audience in real time. Create your newsletter or press release, click send, and that information is instantly in front of everyone that has expressed an interest in your business by granting you permission to contact them. When it comes to marketing, it simply doesn’t get much more powerful than that. Perhaps the most powerful part of the whole e-mail marketing process is your ability to track what happens once those mails have been sent. You can see how many of the people on your list opened the e-mail to read it, and even break it down to what times of the day the e-mails were opened. You will be able to see which links were clicked on once the e-mail was opened, and then track how long that person stayed on the page they were visiting. All of this data allows you to start tweaking future e-mails so that they land at a time that your audience loves, and contains content that they will want to click and read more about. As great as all of that sounds, it gets even better when you realize that e-mail marketing essentially costs nothing. Yes, you will have to make an investment in time, and perhaps the creation of content to add into your e-mails, but the potential returns on that investment are huge. It seems that everyone is out there chasing down the next big thing in online marketing, and spending a fortune in the process. If they would just take a moment to look at their e-mail program and see the possibilities it carries, they may never end up wasting another penny on fad marketing techniques.